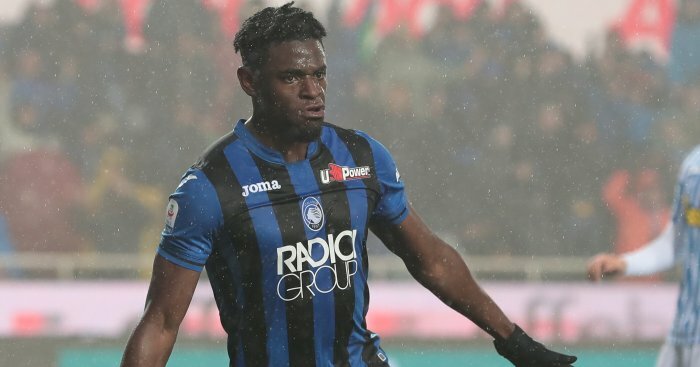 West Ham lodged a bid of €40million for Atalanta striker Duvan Zapata during the January transfer window, according to a report. West Ham’s almost annual hunt for a forward led them towards Zapata last month with Gianluca Di Marzio claiming the Hammers’ offer was rebuffed by his club Sampdoria and Atalanta. Zapata is on a two-year loan from Samp to Atalanta. It’s been reported that Atalanta paid a €14million loan fee, with the option to buy in the summer of 2020 set at €12million. The Hammers apparently wanted Zapata at the London Stadium, but they were unable to reach an agreement for a player, who was interesting Southampton and Newcastle United last summer. Il Secolo XIX claimed that the Premier League pair were joined by Atalanta, Sporting Lisbon and Jiangsu Suning side in their admiration of the Colombian forward, but he went to Atalanta after claiming Samp were not bothered about keeping him. “To be clear, I never had any doubts about the value of Atalanta. You only have to look at the results [Gian Piero] Gasperini’s side have attained in the past few years. But my idea was to stay at Samp. “Then Samp did nothing to hold on to me, so I immediately wed myself to the Atalanta project. President Percassi and Gasperini made me feel important. “It’s nice to be courted,” he told Gazzetta dello Sport last summer. In May 2016 Arsenal made an offer believed to be in the region of £25million for Zapata, who was on loan at Udinese from Napoli. Udinese president Franco Soldati told Radio Kiss Kiss: “There is a clause that allows Napoli to recall him early from the two-year loan,” Soldati told Radio Kiss Kiss. The 27-year-old striker has 21 goals from 31 games with 16 coming in Serie A this term, as well as six assists from all competitions.